Geocaching with your kids can be one of the most rewarding and enjoyable experiences…but it can also be the most difficult and frustrating thing you’ll ever do. Combing the addictive desire to find the cache and the attention span of young people is, sometimes, a recipe for disaster. For those who look there are a number of very good articles out there on how to geocache with kids that can help make the experience better for all involved. As the father of two under 5’s (+ another on the way) I’ve spent plenty of time looking at this information and ideas. While the articles are great I haven’t found one that specifically dealt with my situation – Geocaching with Preschoolers! 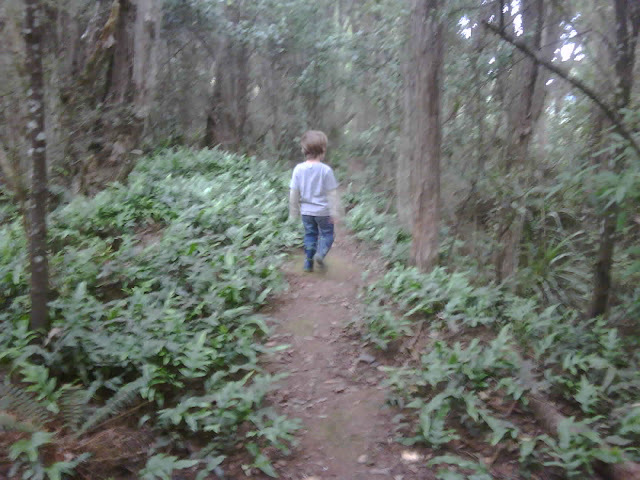 Preschoolers are a little different to older kids when it comes to geocaching. To start with they’re not actually very good at finding the cache and no they won’t have found it before you’ve stopped looking at the GPSr. They can’t walk long, medium and sometimes even short distances, so they won’t be running ahead. And they have a short attention span – they don’t share the same addiction passion and…ohh, look at the pretty flower…will need to be constantly managed. 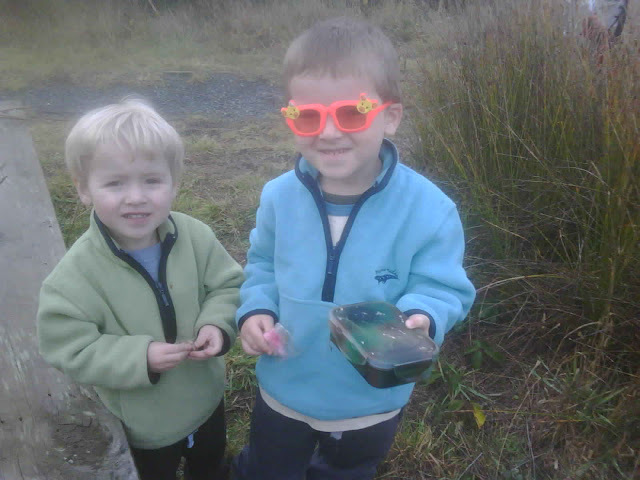 I spend a LOT of time caching with Cumbyrocks Jnrs (Mr 4 and Mr 2). Besides finding it a lot of fun it helps my darling wife get some respite from, well, all the boy-ness (which includes me!). So marrying my addiction passion for geocaching with looking after Mr 4 and Mr 2 has meant learning to make it work for all of us. The following is therefore my experience and thoughts about geocaching with preschoolers. A lot of the information you’ll find in other Geocaching with Kids articles but hopefully there will be a few things here that help other Preschool caching families out. Start with a Plan…and no I don’t mean writing a full event schedule and risk analysis and management procedure. It’s often tempting to rush out the door or pack everything hastily and miss important things that you’ll regret later. What I’m suggesting is taking a few moments to write a list of things you’ll need and gather a rough idea of what caches you’re going to do and in what order. 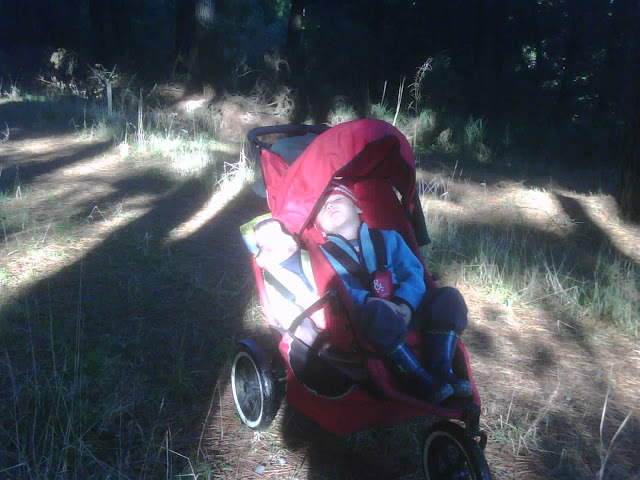 To boldly go where no buggy has gone before…being able to take the kids in the buggy (perambulator) solves all sorts of problems but especially the inability to travel distances. 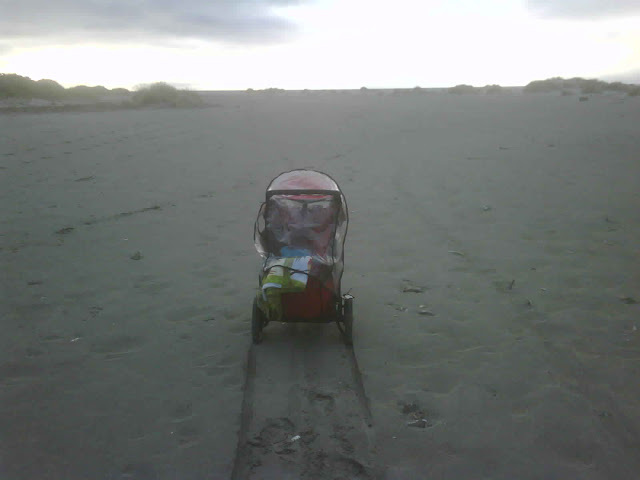 A bit of investigation will soon start to highlight the ‘buggy friendly’ tracks and trails. Don’t be afraid to ask other local cachers. They have a lot of information and have given me a lot of new and beautiful places to go. And don’t be afraid to be a little adventurous – take the challenge and see whether you can get your buggy places you didn’t think it would go. For me those trips were some of the most rewarding! Find the kid friendly caches…this is closely related to find buggy friendly tracks as there is no point finding a buggy friendly track to hunt down a micro. 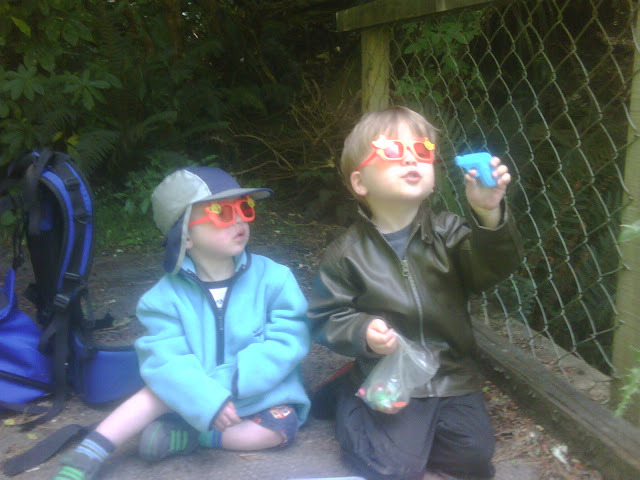 An increasing number of caches are very kid friendly, often with kid themes. One of my own is Train Spotting (GC23F5V) which is heavily Thomas the Tank Engine themed, whilst another good example is Gary’s Trail (GC23CRT) which has an excellent Sponge Bob Square Pants them. 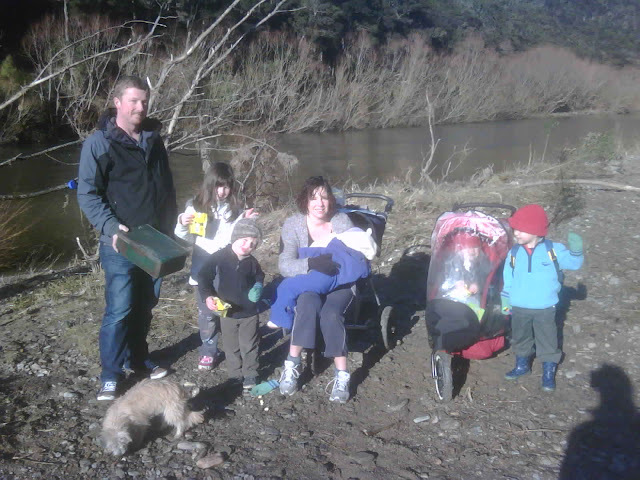 These caches have plenty of kids friendly swaps that will make the whole day worthwhile for the wee ones. You might also like to consider spreading the really good caches throughout the caching trip. Start with a good kids one, then do a couple of not so kid friendly before finishing with a good kid friendly one again. Cause I would walk 500 hundred miles…figure out how far the little ones can walk and find caches within that distance or slightly further. A challenge for the kids can be a good thing and they are always so proud of themselves to have achieved it. And if they can’t walk the whole way? Then it’s good exercise for you carrying them the rest of the way back! Just remember to be prepared to take breaks along the way and stop and look at interesting things. Be prepared to give up your baby…and no, I don’t mean your precious offspring. Allowing the wee ones to have a turn with the GPSr can provide a welcome distraction and motivation for them to keep going. Take plenty of snacks…just like being given a turn with the GPSr snacks can be a welcome distraction and break that keeps the kids motivated and moving forward. The snacks themselves can be something to look forward to and I often use the ‘you can have those biscuits at the next cache’ line to keep them moving. 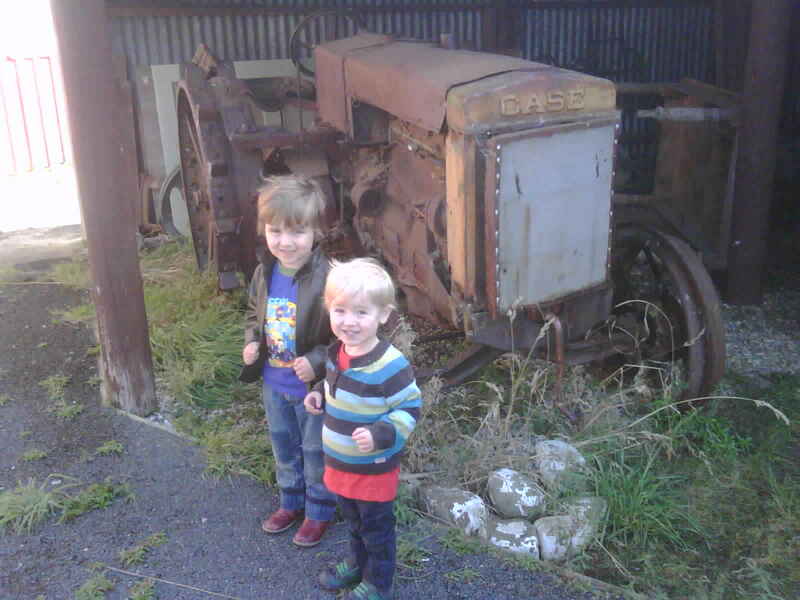 Let the kids ‘find’ the cache…but haven’t I already said preschoolers are not particularly skilled at finding caches? They’re not, but putting them in the right spot and giving lots of helpful suggestions (“hey, why don’t you look behind that rock”) will let them ‘find’ the cache. The sense of joy and excitement they experience makes the trip worthwhile for them and motivates them to find the next cache. Have a bag of swag swaps…I regularly raid the kids toy chest for unwanted toys to throw in my bag to use as swag swaps. Coming away with a new toy from the ‘treasure box’ is exciting and that toy can keep them entertained for the rest of the day. After that it can go back in the swag bag to be a swap on another trip. Make sure they learn the value of swaps…kids will often be tempted to take more than one swag item out of a cache. I impose a one item per child limit and regularly explain we are trading one item for another, not two for one etc. Getting them to put the trade item from your swag bag into the cache allows them to physically experience it. Make sure you take a camera…most of my favourite photos of my kids have been taken caching and I always have the camera at the ready. I think it is the combination of the kids in a beautiful place doing interesting things that makes them so good. A selection of my favourites can be found here. Plan drive-bys for nap time…I often plan a morning of geocaching where the kids are walking about to be followed by a few drive-by caches on the way home. After a morning of walking around and running about they are tired and, nearing nap time, they are likely to goto sleep in the car. It’s a nice way to increase the find count for the trip and knock out the easy ones that are a waste of time getting the kids out of the car for. Make it a social experience…invite some of the kids friends and their families along for the adventure. It will undoubtably keep the kids entertained and you will be how surprised by how fast the kids will travel and how far they go with their friends chugging along with them. Plus you get to introduce some others to geocaching! And finally...as they get older let them have a geocaching ‘treasure hunting’ bag of their own. Mr 4 recently selected his own bag from some birthday money he had. The only thing he keeps in it is his gloves but that bag must come with us on every caching trip. He proudly walks along with the bag on and delights in putting his swag it once the cache is found. I wonder how long it will be till he wants his own GPSr?